Travelers, nomads, and other free-spirits alike, we need to talk. I know many of us know why I’m going to say this, but I think it’s becoming increasingly evident that many of us do not. Chances are you probably come across this word on a weekly basis. Maybe even DAILY. You see it in Instagram bios, hashtags, blog posts, BLOG NAMES. 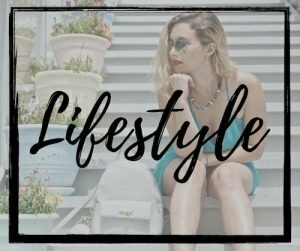 Travel brands, fashion brands, and jewelry brands. The word is gypsy. It has somehow become a synonym with being a free spirit. It’s used to describe those that beat to their own drum and live life by their own rules. Yes, you’ve probably seen a white girl wearing a graphic tee that reads this. But in 2019, people are searching “is gypsy offensive?” “PC term for gypsy” “is gypsy a slur?” “is gypsy racist?” more than ever. To answer your question about this frequently Googled term, the short answer is yes, absolutely. Gypsy is straight-up racist, similar to using the n-word. The word is as a racial slur against the Roma people, the PC term for gypsy. If you’re like me, at one point you probably had no idea about the oppressive context of this word. I understand people come from good intentions, but that’s all the more reason we need to talk about this. Even if you’re rolling your eyes right now claiming us damn millennials are so obsessed with P.C (politically correct) culture, I urge you to read this with an open mind. Because using the word gypsy is hurting the Roma people more than it’s hurting you. “Gypsy” is a racial slur for the Roma or Romani people with Romanian origins and originally of Indian decent. They speak Romani, which is a language similar Hindi or Persian. When the Roma people left India in the 11th century, the Europeans mistook them as Egyptian. This is where the slur “gypsy” comes from. This is the word that was then used to describe the Roma people through centuries of oppression. The Catholic Church oppressed and restricted Roma from purchasing land. The Hungarian and Romanian nobles enslaved the Roma during the 15th century. In 15th century Germany, the government ordered average citizens to kill gypsies living among them as well. Eastern Europe, Spain, and Italy expelled the Roma, forcing them to disperse throughout Europe. Eastern Europe freed them of slavery in the mid-1800s, but the Scandinavians launched a sterilization programs against them in the 20th century. Europeans used the word “gypsy” as a racial slur throughout these centuries to justify the discrimination and persecution of the Roma people. 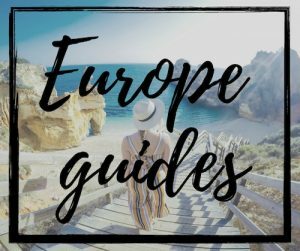 It’s crucial for travelers to understand that these origins still have a direct negative impact today. Roma in the Serbian town of Bujanovac. Today, the Roma people are dispersed throughout Europe, the United States, Eurasia, and South America. They currently are the largest ethnic minority groups in Europe, with 10 million Roma people living throughout the European Union, according to Amnesty International. The sentiment among many Europeans is that they are the “unwanted Europeans”. It’s undeniable that elements of the traditional Roma culture clash with modern-day Western society. It is common for children to get married as young as 12 years old in traditional communities. Many drop out of school by the time they are in their teens. There are little opportunities for them within the Roma communities, unless they decide to leave for good. Many still choose to live a true nomadic lifestyle in caravans. Sadly, many countries in Europe still use their difference in culture as an excuse to systemically oppress them. Many public programs turn away Roma from health care, employment, housing, and other social services. Some Roma communities in Europe look like slums out of Mumbai. In fact, 90 percent of Roma live below the poverty line in Europe, according to UNDP. They have a high infant mortality rate, and life expectancy is at least 10 years shorter than other Europeans, according to Amnesty International. They often work odd jobs because of a lack of opportunity . (This is why there’s always the stereotype of Roma people being fortune tellers, dancers, and performers). Several countries lack official data because so many of the Roma remain undocumented, in part because many Roma’s fear discrimination at state level. As a result, the lack of reliable date in certain countries makes it difficult to develop programs catered towards the Roma. While reform is slowly coming from inside these communities and from various EU and UN strategies, the Roma people still fight against many stereotypes – most of which are directly enforced by the use of the word gypsy. Like many Americans, before I came to Europe I didn’t know the word gypsy was a slur. I honestly think I probably had a shirt at some point that said “gypsy soul”. But living in France, Ireland, and Croatia taught me that this word is NEVER used in a nice way. When studying international journalism in France, my host mom would frequently tell us to watch out for “pick-pocketing gypsies”. Ironically, French teenagers pick pocketed us instead. When I lived and worked in Ireland, I learned about the nomadic “traveler” community, which is an established ethnic group in Ireland. 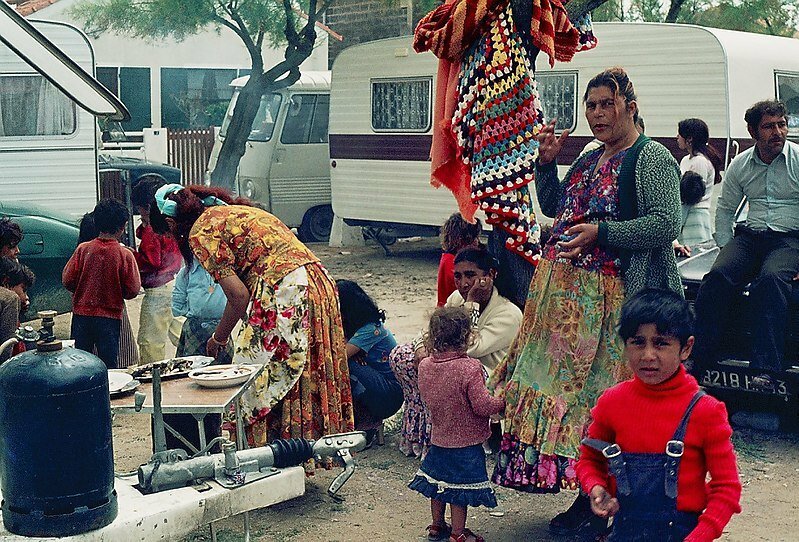 The Irish and English often refer to them as gypsies in a negative way, even though they do not share any DNA with the Roma. 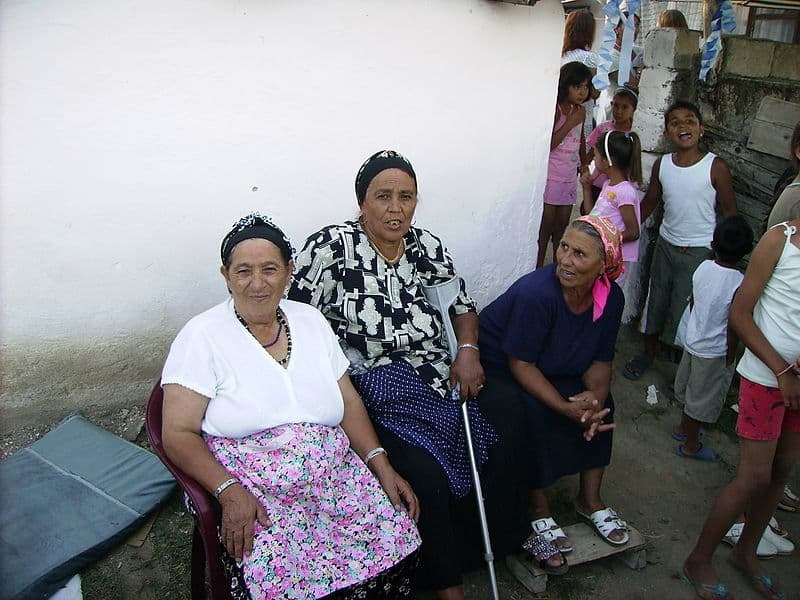 When I first came to Croatia to study European politics, I became extremely aware of the hostility towards the Roma people throughout the Balkan region. I’ve heard some Croatians claim that they love “gypsy music” but despise “gypsies” themselves. 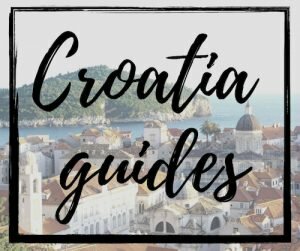 Even here in Dubrovnik where I live currently, some locals claim that they drove a group of Roma people out of town in the 1980’s. Across the border in Bosnia and Hezegovina, there is between 60,000-100,000 Roma people, most of which who live below the poverty line. Many schools do not allow Roma children, and the government does not allow Roma to run for office. While the issue of the Roma are extremely complex, I have not ONCE heard the word gypsy used in a positive way while here in Europe. It suddenly made sense to me why we hear people say, “I got gypped!” in the U.S. Or why my grandpa used to joke that he would sell us to the gypsies. The true context of the word doesn’t have anything to do with being a free spirit, bohemian, or a vagabond. It has everything to do with the ethnic tensions that are still very ripe for the Roma people today. Why you should never utter this word again… yes you, travelers. 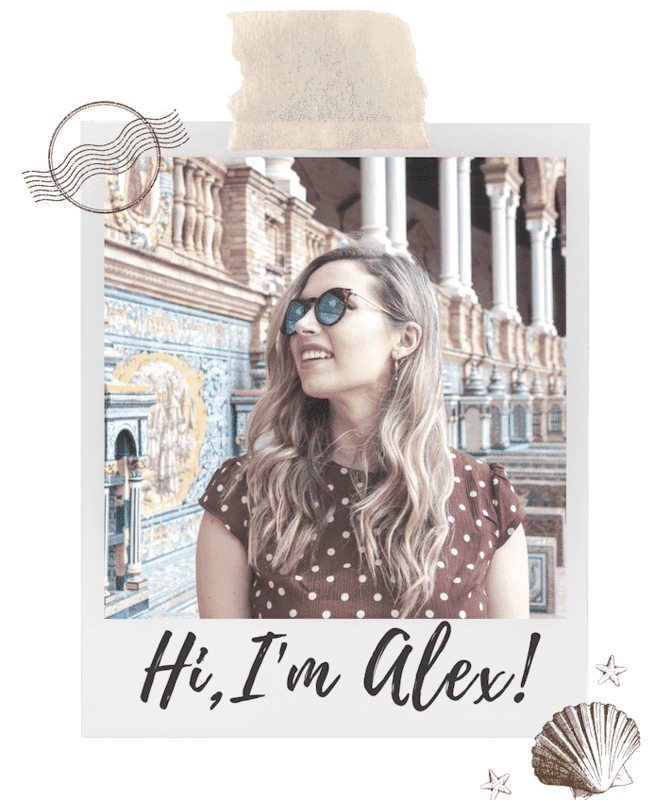 As a travel blogger, I see this word used all the time.While the travel community is not solely responsible for making this word trendy, it’s done a fine job at appropriating it. The word is still widely used as describing a carefree mindset and a way of life while traveling. I’ve seen white women with extremely sun-tanned skin pose bare foot with a skirt and lots of jewelry, calling themselves a “gypsy” or “gypSEA”. We see it in top influencers’ brand names. 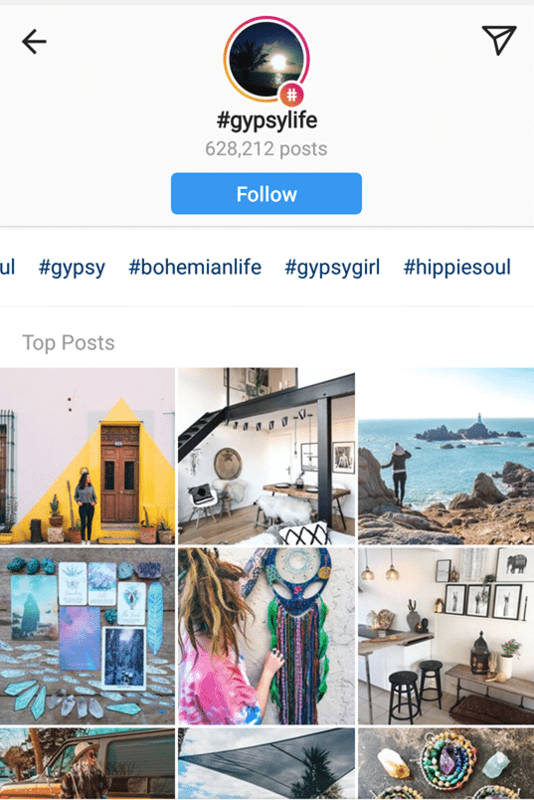 #gypsylife has over 628,000 tags on Instagram, with mainly white women traveling the world or attending festivals. This gypsy life is far from the life of the actual Roma people. Let’s be honest, all of us in the travel community are extremely privileged in some shape or form. Those of us that are “vagabonds” must remember we are nomadic by choice, not because of years of oppression. Even if you don’t consider yourself an advocate for the Roma people per se, it really just shows a lack of understanding of the context of the word. At best, you’ll look like an idiot calling yourself a racial slur (especially in Europe). At worst, you’ll look like someone who is definitely racist. 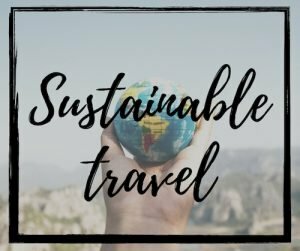 As many of us travelers preach about our sense of global citizenship, we really should be better about setting an example on this issue. We need to stop using the word our self, and try to educate others who may be using it. The very least we can do for the Roma people is to stop using this word ourselves. Words matter. Historical context matters. The Roma people matter, much more than a filler word in your Instagram bio. Please share this message with someone if you agree. Click below to pin it. Well said! Words matter! People like to say that all that matters is their intentions in using the word, that if those are innocent then it’s OK. But that’s not true, when the word is one that carries such a huge weight of persecution and negativity and racism, it’s simply a case of being ignorant, or worse of knowingly discarding that huge history of negativity about the word and using it anyway. Very interesting. I learned a lot from this post and I will stop using the word “gypsy”. Thanks for the education! Interesting article, I learned something new! I didn’t know Scandinavia had sterilisation programmes?? Never heard about that, I didn’t know we had issues with roma people back then – I know we have nowadays. I think you are so spot on here! Being an European myself I have always had a hard time with people using “gypsy” on social media! In Europe it is a really negative word that you would by no means what to be called. In political science, this would be call it conceptual stretching, which basically is using the same concept/word for two things that definitely aren’t the same.. And I cannot find a better explanation of what the use of gypsy on social media is than conceptual stretching 😉 So yes, let’s just stop using gypsy! A very interesting read. I come from Finland and the Roma people are an official minority in my home country. They face a lot of prejudice. And since the EU expansion, the Roma people from Romania have also flocked into Finland. This hasn’t been without criticism and racial slur. I feel very sorry for the plight of the Roma people (especially those living in Romania). When most of the people live in poverty of course they will try to leave their home country and look for something better for themselves and their families. I don’t really use the word gypsy so don’t need to make any changes with that. But this post certainly offered an interesting and new perspective to the use of this word. We shall see if the nomenclature will change in the future. Wow! This is a fantastic post, so well researched and very well said. I must admit I’ve used the word in the past but will definitely think twice from now on. Thank you for approaching the subject! Thank you so much for bringing awareness to this and sharing the background of the word “gypsy”. I agree that it has become such a trendy name to use but should be avoided. I’ve been waiting for this article for so long! 🙂 Thank you for writing it! I grew up in a Romanian village, having gypsy friends. I went to school where a third of the children were gypsies. I also grew up in a country/community where racism and discrimination were widely accepted and encouraged. As a child I did not understand why I “have” to hate that cute neighbor boy- just because he’s a gypsy? And that is so sad. The truth is, there is an entire generation in Eastern Europe who grew up hating a group of people without giving them a chance. The entire community of roma people lives in poverty or face discrimination, verbal abuse and racism every day. Every single day. In 2018. Without someone batting an eye. Of course, there are exceptions. Until now, every time I heard the word “gypsy”, I was thinking: “Oh no, not something racist again, not something bad again”. Until I discovered the travel community. 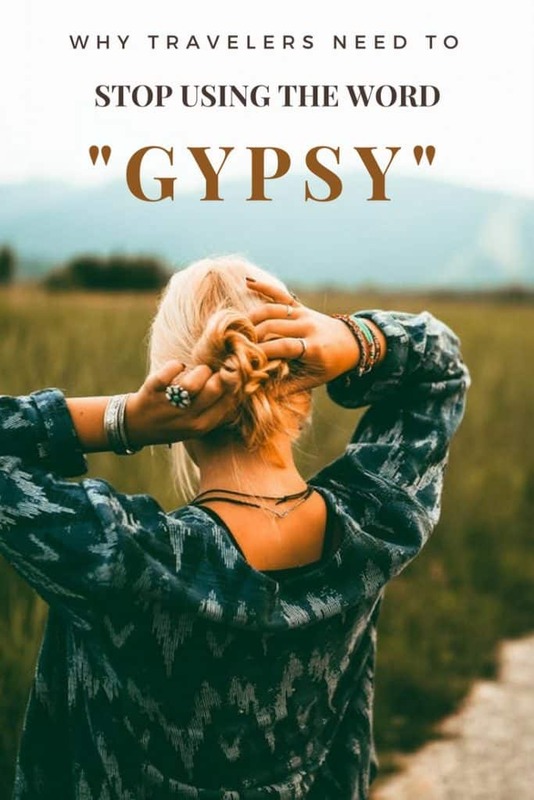 And now that changed 🙂 Thanks to the free-spirited, sun-kissed travelers, the word “gypsy” does not sound pejorative anymore. It became a positive word, it represents freedom, inspiration, a wild spirit. Hopefully, those young followers will not associate the word gypsy with hate, abuse or discrimination anymore. And that is powerful. While I think it is our duty to inform and educate our readers (and thank your for doing that)- it is so beautiful how we can change future mindsets with a single word. And I am grateful for every geapsea/geapsy out there. At least in the name of my fellow Eastern Europeans who are tired of racism. Preach! 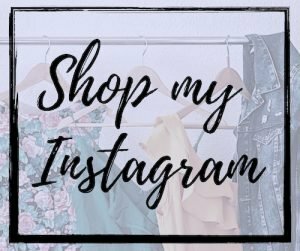 I CRINGE every time I see new IG accounts and blogs popping up with “gypsy” in the name… and I’m sure they do, too, once they realize what message they’re putting out. So interesting and eye-opening! 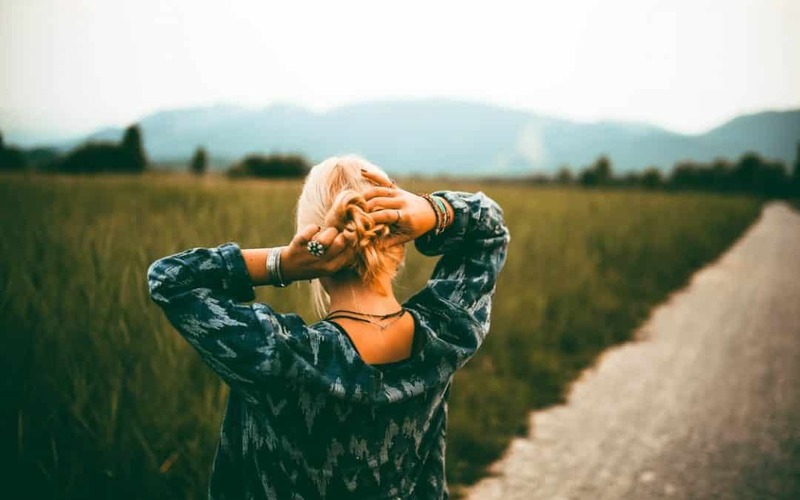 My Mum always told me not to use the word “gypsy” because it was offensive, but I didn’t ever really look into why – your post is so informative, and so sad. Thank you so much for sharing, I will definitely be sharing with my friends! This is a really great post and I am so supportive of spreading this message. I don’t think anyone is intentionally using the word to offend but there is just a lack of education. Thank you for writing this!! I respect you using your blog and your experiences to educate people. I almost got the word Gypsy as a tattoo but then remembered how negative it was in Europe and decided against it. I still can’t believe people who claim to be travelers and who have seen so much of the world still decide to use it in their branding/social media handles. It’s pretty out of touch if you ask me. THANK YOU for expressing what I find so hard to put into words. I get that I can’t change everyone’s mind, but at least they know I disagree with them. haha.